Property management, in its broadest terms, is the oversight of real estate. This can encompass everything from single family homes to large, multi-unit apartment complexes. Property management is a service provided by local real estate firms who do their best to manage your assets. I don't have to tell you there's a significant range of quality and professionalism in the Atlanta Property Manager you chose to work with. Before you invest your hard earned capital, you have to ask the question – what Property Management approach and methodology works to the benefit of your business? Experience shows most homeowners and investors decide against using a property manager because they don't understand the scope of work involved, and don't understand the cost benefit. It goes without saying it's important to consider whether hiring a professional property manager to oversee the day to day transactional details makes good financial sense for your business. But don't let lack of knowledge prevent you from making the right decision, leaving you to manage the property on your own. Ask yourself, do the short-term savings result in long-term profits? Most people looking to invest $250,000 in assets wouldn’t just turn it over to a financial planner. They want to know everything there is to know about the people managing your assets. So why wouldn’t you do the same when searching for a competent property manager? 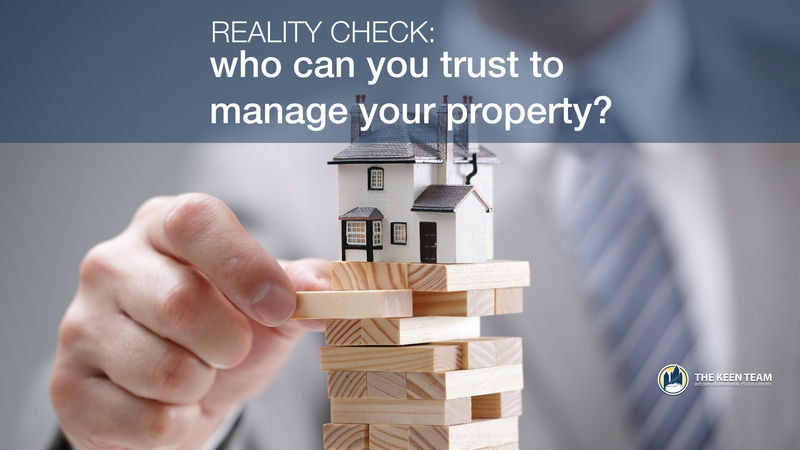 What do you believe the day-to-day responsibilities of a property manager are? Will you be managing the property on your own? Will you be living close to the property you manage? Do you have enough time in your schedule to effectively manage this property? Do you have an understanding of all the day-to-day tasks that come with managing the rental property? If the answer is yes (as it should be), expand on what you’re thinking. Does it make good financial sense for you to manage the property? Have you considered the time you’ll need to devote to learning new things? Did you think about the legal responsibilities, how to market the property effectively (to bring in the best tenants), and how to effectively screen those tenants once they fill out an application? How about your involvement with the accounting department? This is a big question with several integral sub-questions. Can you be on call and ready to respond 24 hours per day, 7 days per week, and 365 days a year? Even on major holidays? This can include responding to maintenance issues and related problems. Are you experienced at answering the phone? Can you handle phone calls professionally, show available properties to prospective tenants, collect rental payments, and use the eviction process properly (within the confines of the law) to deal with troublesome tenants? If you can’t answer yes to all of these question, then you should seriously consider a property manager. Hiring one can save you time, money, and unnecessary headaches down the road. If you don’t have the experience (and don’t feel as though you can pick it up on your own), then it’s time to think about bringing on a professional. If after asking yourself these essential questions, you’re now considering hiring an Atlanta property management company, the first test you need to perform is pass/fail. Either they pass with flying colors, or they fail miserably. There's no middle ground. Set aside time to call each of the property management companies you’re considering. If they’re worth your time, they'll pick up after a few rings. This is what you want along with getting a positive vibe that your business is important to them. If they don’t pick up, but return your call relatively quickly, that’s acceptable as well. If the property management company doesn’t pick up on the first call, or return your call quickly, then they aren’t worth your time. If they seem unprofessional, then you should also pass on giving them your business. Imagine how they will treat your tenants if they’re giving you the run around. Or worse, when you find yourself in the middle of a dispute. There are reputable companies out there that will value your business. Don’t settle for anything less than the best. How will you determine the rent? Will the rental rates be in line with other properties in the area? More competitive? Less competitive? Do you understand how to effectively market this property? How do you plan to rent this property at the current rates being imposed by the market? Are you familiar with the area (along with the different rental properties within it)? Do you possess the correct property management license? Are you insured and bonded by the state? How do you plan to attract great tenants to our rental property? Do you have a website? If so, how many? How will your website benefit our rental property? What is your familiarity with Search Engine Optimization (SEO)? How will you respond to questions, comments, and concerns by our tenants? What is your process for qualifying prospective tenants to rent at our property? What makes the tenant attractive or unattractive? Make it clear that every prospective tenant must agree to the following: to have their employment verified, their credit run, and a background check to verify that they don’t have a criminal history. This must be done according to regulations and requirements set forth by the town, state, or the federal government. The condition of the rental units can change over time. To maintain the condition of the property, it’s essential that inspections and maintenance be performed in a timely manner. Routine maintenance and emergency repairs should be performed by in-house staff. This will reduce wait time and ensure 24/7 availability. The property management company should conduct regular inspections of the rental units. While tenants are secured by their lease, it’s important to make sure they’re taking care of their rental unit. This can help with enforcing the rental agreement. When an existing tenant moves out, the rental company must check for normal wear and tear, as well as any damage. This will determine whether or not the tenant is entitled to a full or partial refund of their security deposit (or no refund at all). If you’re not using your time wisely, then you’re wasting money. The rent must be collected on time (usually the 1st of the month) for all tenants. These funds must be deposited in a timely manner. Detailed reports should be created and provided to the property owner. If a tenant is unable to pay their rent on time, it’s imperative that the property manager be able to handle this in a timely manner. The company should be familiar with all applicable laws and procedures pertaining to collecting past due rent. Knowledge of the eviction process is essential. Find out how the property management company will keep you in the loop. Do they give access to an online portal (accessible 24/7) to the landlord or investors who have a stake in the property? The landlord/investor(s) should be provided with financial statements (that are detailed and accurate) on a regular basis. Each statement should include how much rent was collected for the month, how much is outstanding (if any), expenses that were incurred (if any), and how many tenants moved in as well as left during that month. The statement should list the total profit and total loss for the month. Compliance is extremely important these days. The property management company must log events that fall under fair housing. The Americans with Disabilities Act is a good example of that. The system (with an integrated database) should make it easy to pull maintenance records for any unit in the rental property. If appliances were upgraded or replaced in a particular unit, that should be available in the database. Having complete and detailed records for each rental unit is important. When work, upgrades, or regular maintenance need to be performed, it should always be reported to the landlord or investor(s) in some form or another. This will keep the surprises to a minimum. In finding the best property manager, you’ll see firsthand the good, the bad, and the ugly. This is all part of the process. It’s rare to find that diamond in the rough without some trial and error. Be persistent, stay confident, and remain focused on the task at hand. This will ensure a positive experience for you and your tenants.